What does your ideal smart home look like? How would it work? An ideal smart home is much more than a collection of gadgets, apps and sensors. What exactly does an ideal smart home look like? Do you need to move? Or spend thousands of dollars on upgrades? What comes to mind when you think of your home? It might be happy memories of hosting friends and family. Perhaps the day you bought the property stood out as a moment that you had finally “arrived.” All of these feelings and thoughts have their place. There’s an even more important practical concern to keep in mind — your home is a practical resource that guides you through your daily life. If it is working well, you will experience less stress and frustration. If, on the other hand, you have to tolerate broken appliances and uncomfortable temperatures, daily life becomes just a little more stressful. Before you start to transform your property into a smart home, take some time to build a vision first. To get you started, consider the key rooms and aspects of your home. Let’s take a look at a few ways that your home can be more effective, convenient and welcoming. Your Smart Home From the Outside: Let There Be Light! When you arrive home at the end of a long day, how do you want to experience your smart home? Coming home to a dark house in winter can be depressing, frightening or both depending on your perspective. Instead, you can turn on your lights before you leave for your commute home. That one change makes your smart home friendlier when you arrive. But lights are not the entire story of a smart home from the outside. Some homeowners take great pride and satisfaction in their grounds and gardens. When you have a quiet day in spring, there is something relaxing about gardening. Sometimes you want the garden experience and just can’t fit it into your schedule. Smart home technology like automated sprinkler systems help. For the truly passionate gardeners, look into devices that monitor soil conditions. Of all the rooms in your home, your living room is a top destination. Whether you meet there to enjoy a meal, read or enjoy television, it is a key part of your space. An ideal smart home living room may include smart lights that turn on and off when you enter the room. You can also use your smartphone as a “remote control” for your living room. That’s ideal because you don’t need to carry around another device. If you install motorized doors to your backyard, you can let your pets outside without getting up from the couch. That means no more interruptions when you’re enjoying dinner or a movie with your family. Tip: Did you receive an Amazon Echo as a present during the holidays? If so, you’re in luck. 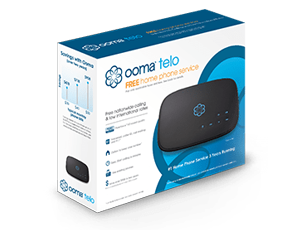 You can sync your Amazon Echo Connect to your Ooma Telo so you can make and receive calls using your Echo- hands free. Half the time you use your kitchen, it will be in the dim hours of morning and evening. Stumbling to get the lights on when you’re tired is frustrating. To level up your lights, check out our smart home recipes. By connecting your smart lights to Ooma technology, you can get light based notifications (e.g. blink the lights when you have an incoming call. You can then take a call quietly without all of the phones in the home ringing and waking up your family. Tip: Do you struggle with keeping everything organized on weekday mornings? 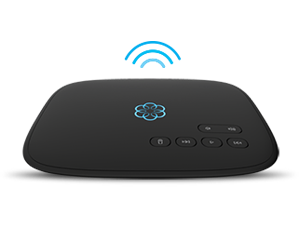 By connecting your Amazon Echo Connect to the Ooma Telo, you’ll never need to worry about missing phone numbers (it syncs with your mobile phone) as you make quick calls in the morning. Just ask Amazon Alexa to make the call and you’re on your way. With the right approach, an optimized bedroom gives you a better night’s sleep. Unlike other rooms, there’s good reason to keep your technology to a minimum in the bedroom. CNN reports: “blue light emitted from smartphone, TV and computer screens can suppress melatonin (a hormone helping you sleep) and increase your alertness.” There are a few exceptions to that anti-technology rule. For example, waking up in the dark winter months is tough for many people. Fortunately, there are smart home devices like the BioBrite Sunrise Clock Advanced Model that gradually provide light so you wake up without shock. In addition, temperature matters a great deal for many people — if it is too cold or hot, rest is difficult. Installing a bedroom specific thermostat is therefore a good choice. As you add new technology to your home, you may wonder: how do I keep my smart home safe? Using the Ooma Home Security service is one option. How does a smart home security system make a difference? Ooma’s home security system is powered by artificial intelligence and facial recognition technology. With the Ooma Butterfleye camera, you can avoid getting annoying false alarms because friends and family will be automatically recognized. What Does Your Ideal Smart Home Look Like? We’ve given you a few ideas on how to put your ideal smart home in place. Which room would you like to start with?